Age Range: Norms for 4 - 12 years. Norms developed for sub-test as well as full scale. - Target group: Children with poor or weak vocabulary / poor comprehension or understanding of text. The Child Labour Elimination Programme or CLEP was started with the aim of bringing children out of child/bonded labour, enrolling and retaining them in schools, giving them a chance to learn and regain their lost childhoods. Over the years, the Programme has identified thousands of out-of-school children, enrolled and retained them in regular schools, making education a reality for them. The morning assembly not only connects our children to the supreme power rather it prepares them to face the day ahead cheerfully and enthusiastically. AIT was designed to normalize hearing. Distortions in hearing can sometimes be a significant contributing factor in the conditions listed above. Individuals with the abovementioned disorders can often have hearing that is disorganized, asymmetrical, hypersensitive or otherwise abnormal. “Shh… Be careful when you use such words in front of the child. He understands most of what we speak! “What are you talking about! He’s only 3! “True, but then he keeps asking a barrage of ‘who’, ‘what’, ‘where’ and ‘why’ questions, and pertinent ones, too! 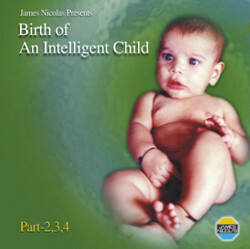 ake your child bright and intelligent within 90 days. It's natural to all of us to compare and relate new things with earlier experiences. Mindware Kid's Workshop is really unique like NO other past experience of Summer Camp, MidBrain or other classes. - Programme is organized to help children develop their hidden mental power at an early age. It will help parents to recognize their child’s career prospectus . - Early inputs help in making the child self-sufficient and responsible..